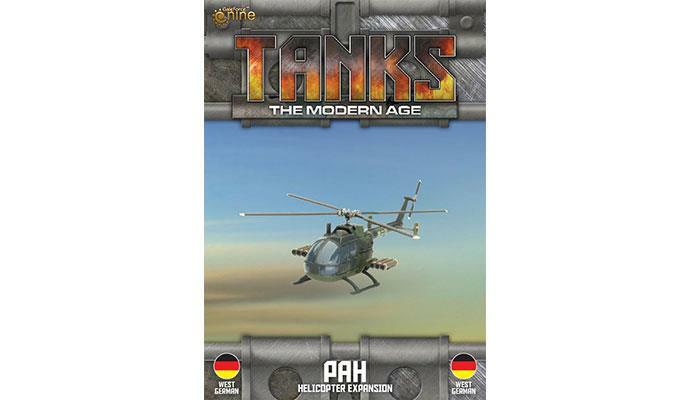 Für Tanks: The Modern Age kommen als Ergänzung zu den Bodenfahrzeugen auch Helikopter aus der Zeit des kalten Kriegs. 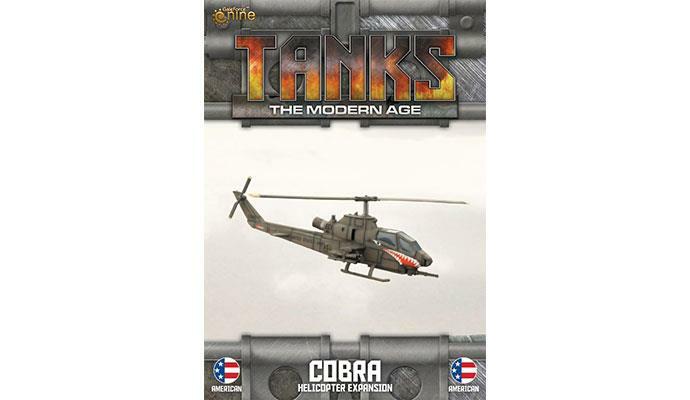 Helicopters add a unique element to TANKS: The Modern Age, models that can fly over the battlefield. 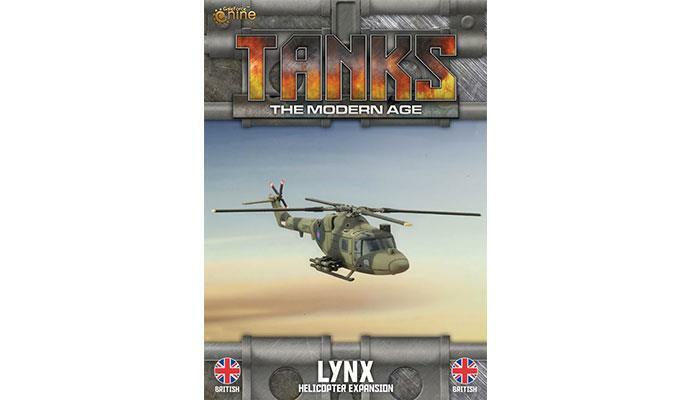 So they needed some rules to make them fit into the world of TANKS. The most unique part of Helicopters is their movement. 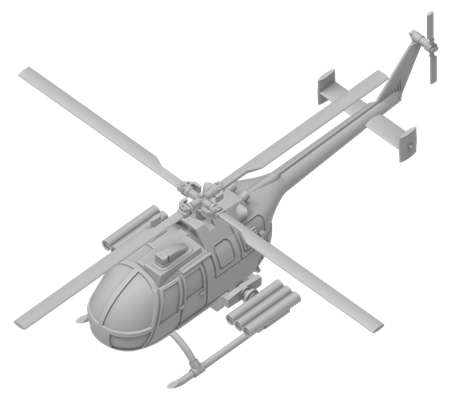 They are fast, agile and have the ability to change elevation, so we needed a way to indicate its height in the game. 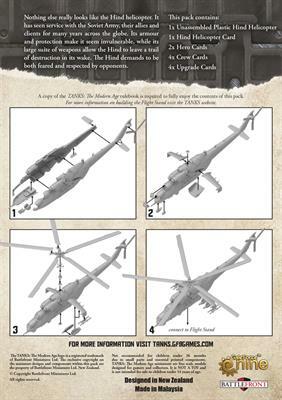 For this we created a “U” shaped token made to fit around the Flight Base. This token is also two sided. 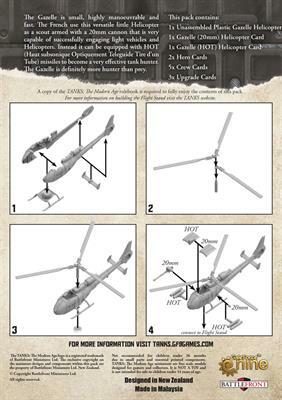 The High side indicates when the Helicopter is flying above the terrain on the table, at this height it can see almost everything, and in turn can be seen by everything. 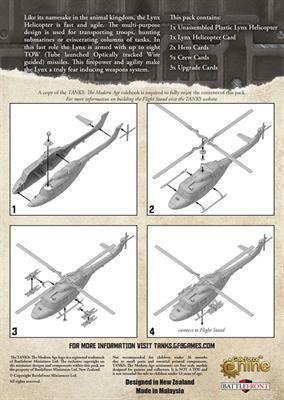 The Low side indicates when the Helicopter is flying low, and it can use terrain as Blocking Terrain to hide behind. 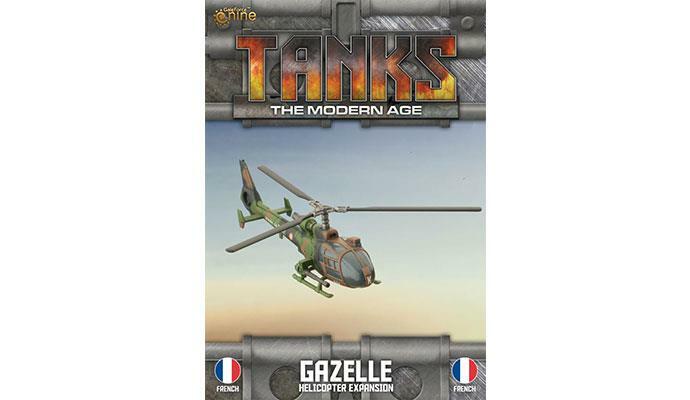 Helicopters move slightly differently than Tanks. 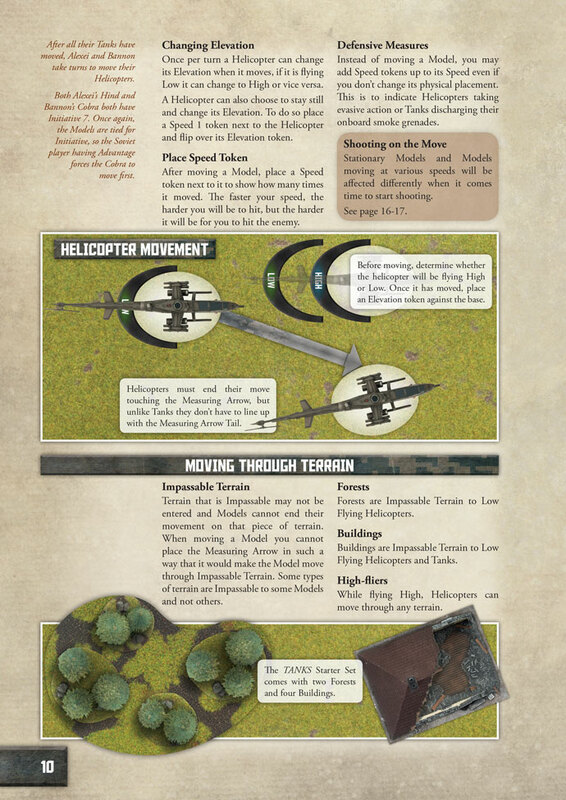 They can end their movement anywhere along the arrow touching it with any part of its base. 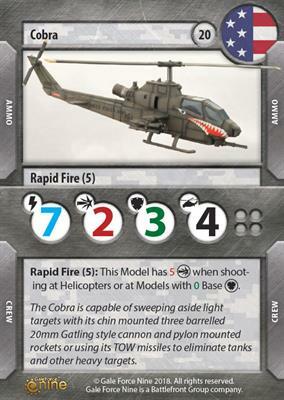 Helicopters also have a base Speed of 3, so they can move quite a ways across the table in a single turn. Since Helicopter speed is so high we decided to separate the Movement phase to have every Helicopter wait until every Tank has moved before they move. This gives them quite the advantage when it comes to setting up firing arcs. 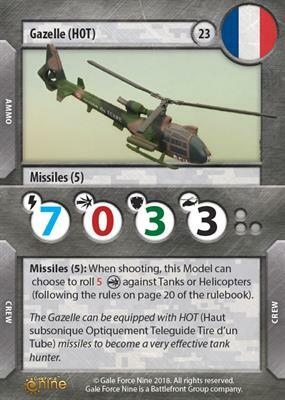 All Helicopters are Forward Firing. 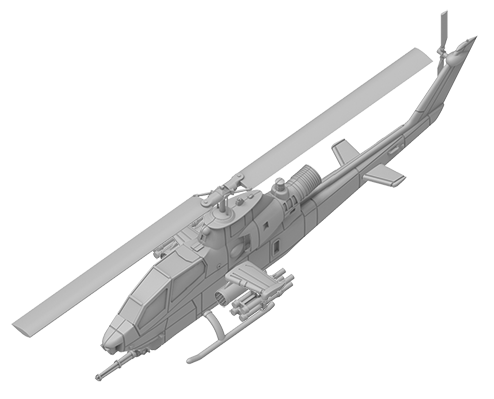 They may only shoot at a Model if its entire hull or is completely in front of half of the attacking Helicopter’s Base. 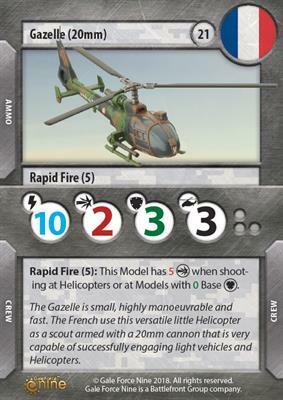 The High/Low Elevation token is designed to help mark the halfway point of your Helicopters base and can be used to determine the firing arc. 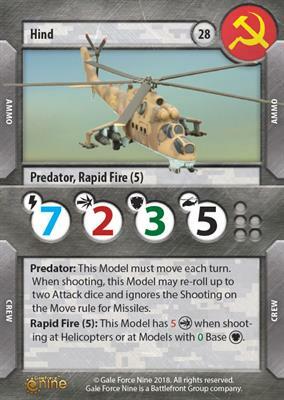 Helicopters gain a Defence bonus for being agile and hard to hit, which you are relying on as they also have low hit points due to the fragile nature of Helicopters. 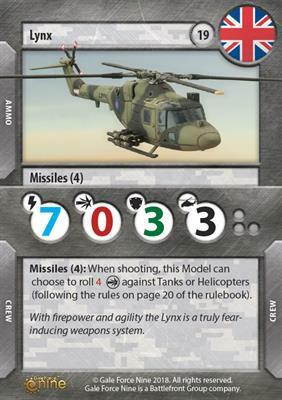 To show this bonus we gave Helicopters a Base Defence of 3. 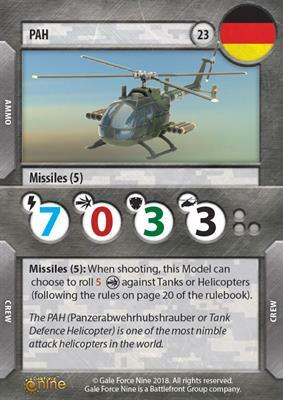 Unlike Most Tanks, Helicopters are immediately removed from the game when their Damage matches or exceeds their Damage Capacity, this also means they do not benefit from the Final Fury rule. 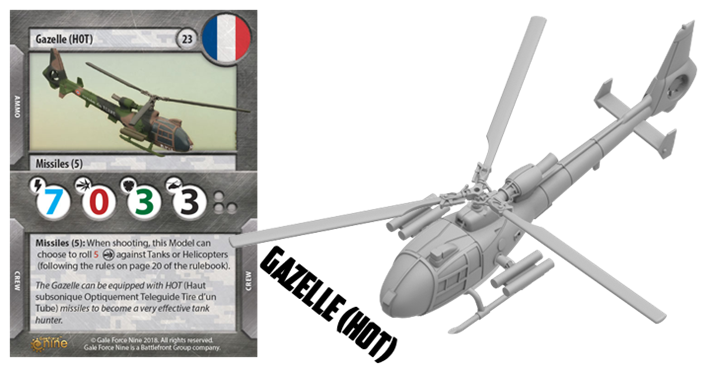 Helicopters have fundamentally changed how players build their platoons and the tactics they use in the game. 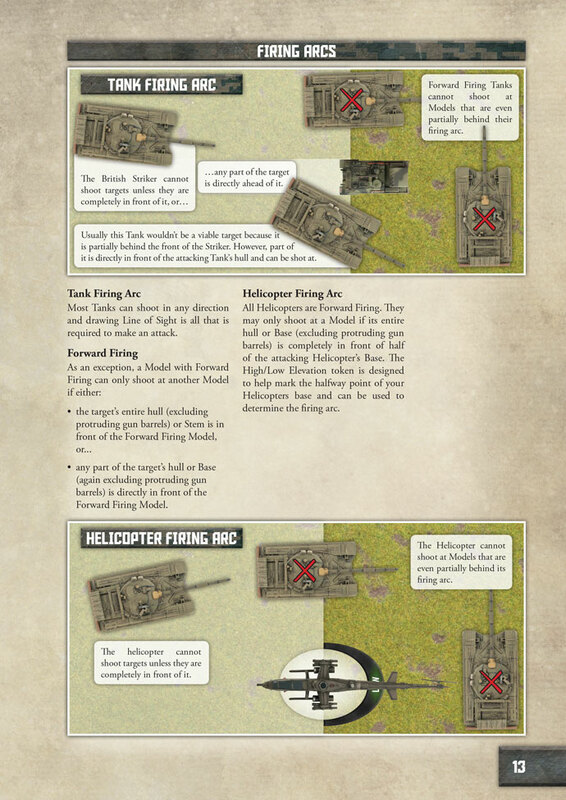 Adding some flying threats to your Platoon can give you the edge in your games and can be the difference between defeat and victory. 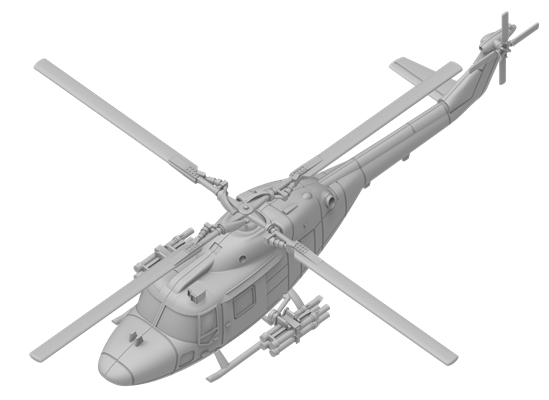 Which Helicopter interests you the most? 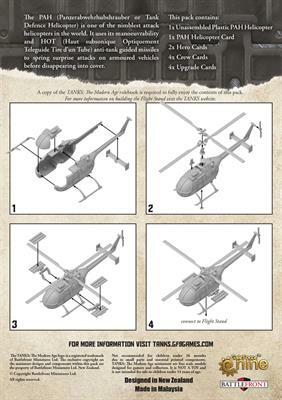 Have any cool ideas on how you want to use Helicopters in your Platoon? Why not join our Facebook discussion forums and tell us about it. 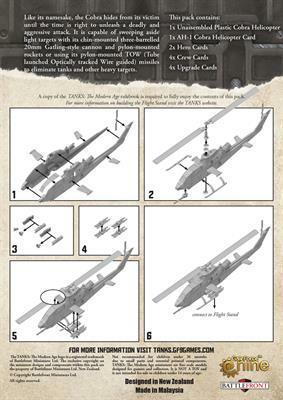 Bin jetzt bei Team Yankee und den modernen Sachen von BF nicht so 100% im Thema aber sind die Helis „echtes“ 15mm oder wie die Flieger 1/144 und ein Kompromiss aus Modellgröße und Spielbarkeit? 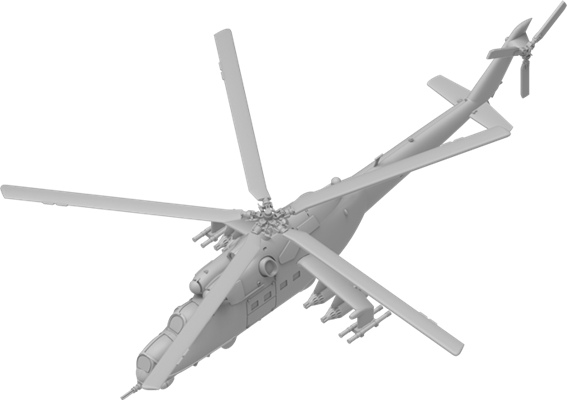 Die Helikopter sind echte 15 mm bzw. 1 zu 100 Modelle. 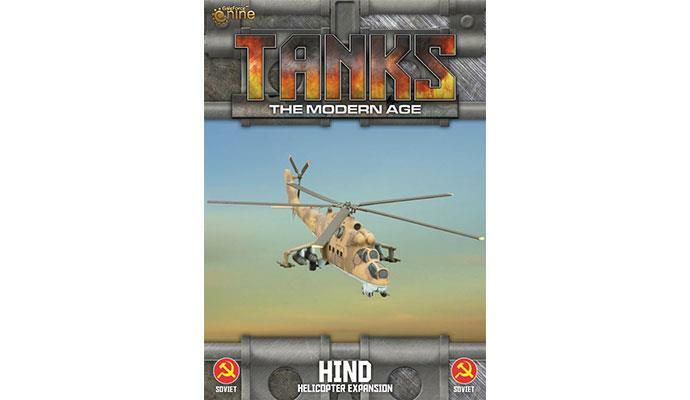 Der Hind ist daher auch ganz schön groß und deswegen etwas teurer als die anderen Helis.